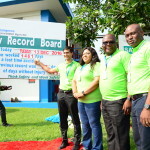 FrieslandCampina WAMCO Nigeria PLC today announced a new record in safety, health and environmental performance of four years without Lost Time Accident (LTA). 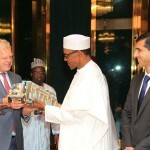 Global CEO, Royal FrieslandCampina, Mr. Roelof Joosten, recently led the delegation of FrieslandCampina WAMCO Nigeria and some dairy farmers on a courtesy visit to Muhammadu Buhari, President Federal Republic of Nigeria, at the Presidential Villa in Aso Rock, Abuja. 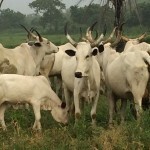 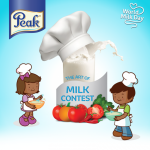 Peak 456 is one of the initiatives of Friesland Campina in line with the company’s mission to ‘Nourish Nigerians with Quality Dairy nutrition”. 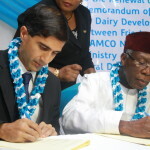 FrieslandCampina WAMCO have renewed their Memorandum of Understanding (MoU) on dairy development in the country. 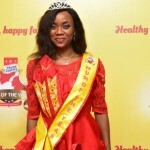 Mrs. Nkechi Brayila emerged the 2016 Three Crowns Milk mum of the year. 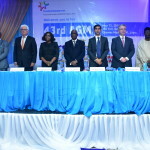 The Company’s commercial and financial performance remained satisfactory in spite of the harsh business environment. 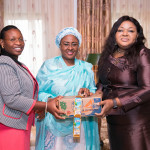 Turnover had decreased by 4.5 per cent from N126.44 billion in 2014 to N120.72billion in 2015. 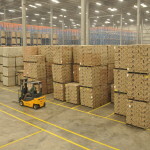 Guided by compliance to global, best practice in Food Safety and Quality regulations, FrieslandCampina WAMCO’s newly-completed finished goods warehouse features a capacity of over 14,000 pallet positions and is executed with LED lights which avail brighter surroundings and align ourselves with environmental Green Goals.